We provide just the right complement of professionals to help build and improve your organization’s leadership and team capabilities. 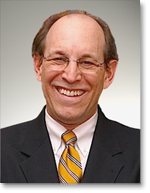 Dr. Schlosser is Chief Executive Officer of Strategic Executive Advisors, LLC. His work spans the range from C-level executives to new professionals, partners and directors. He is a seasoned leadership advisor and a consultant for individuals, teams and organization-wide transformational initiatives.